In autumn last year the rail network in Wales was affected by serious disruption brought about in the aftermath of Storm Callum. A large number of services were delayed or cancelled leaving passengers either stranded or on overcrowded trains. Trains running on the Wrexham to Bidston line were severely disrupted forcing passengers onto buses doubling journey times in many cases. At the worst point the Transport for Wales (TfW) train fleet was reduced to 86 from a total of 127. The National Assembly’s Economy, Infrastructure and Skills Committee has been looking at what caused the rail disruption, and has concluded that all parties need to work together to deliver a better service for customers rather than point the finger of blame at each other. 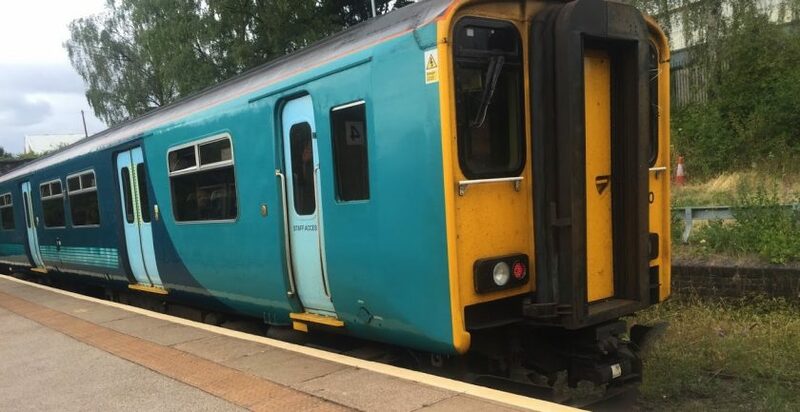 TfW took over the running of the Wales and Borders franchise from Arriva Trains Wales (ATW) and blamed their predecessor for not maintaining its rolling stock to the required standard. ATW insisted they had gone above and beyond their obligations under the franchise, had maintained the rolling stock to the highest standard and had not incurred such disruption during its management of the service. “Well, the contract was based on the assumption of zero growth, and there was very little within the contract that would enable us to compel Arriva to bring into action new rolling stock. While the UK Government responded that the Welsh Government had all the powers it needed and was responsible for the franchise under a Joint Parties Agreement which described the different rights and liabilities between the two governments in managing the franchise. The Committee found that some of the disruption was caused by leaves blown onto tracks which train wheels struggled to grip on. As a result wheels would slide rather than roll, causing ‘wheel flats’, akin to a wheel looking like a twenty pence piece, which then needed repairing or replacing. However the Committee heard that the autumn conditions were similar to previous years. TfW stated the installation of ‘Wheel Slide Protection’ devices should minimise disruption in autumn 2019 and that new, more reliable rolling stock was on order. “Passengers were the real losers this autumn. People were left stranded on platforms or on overcrowded trains which were already late. Finger pointing in these situations does little good and we believe all parties involved should pull together to deliver the high standard of service Welsh commuters deserve. We are pleased to see some of the work which has already been put in place since the disruption and this gives us cause for optimism ahead of autumn this year. Past experience highlights the need for a clear approach to identifying and robustly managing rolling stock risks in future. The Committee and the travelling public must be given public assurances that TfW has made a full assessment of the risks attached to its plans for procuring and introducing new rolling stock on to the network, and how these will be mitigated, whether this published document is described as a “rolling stock strategy” or by another name.